Wooden structure to last and keep your photos preserved & showcased in nicest way possible! 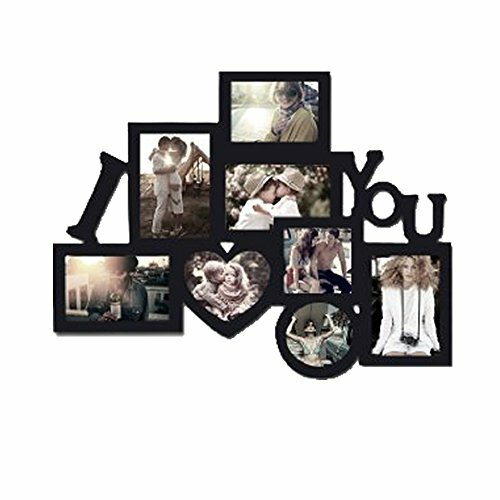 Holds 8 photos 4 4 by 6 and 4 3.5 by 5 Perfect sized photo collage frame for great price! keep one in every room! Holds diagonal and straight photos to add to the fun! different shapes and sizes! If you have any questions about this product by Decor Hut, contact us by completing and submitting the form below. If you are looking for a specif part number, please include it with your message.